Scrolling downwards, I soon discovered that another Florence Academy of Art Alumni has been practising art abroad. 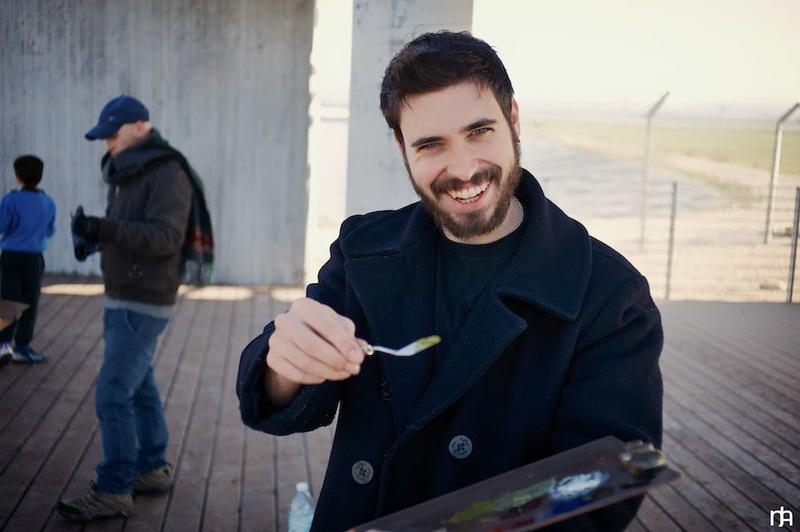 Maximiliano Vatovac A.K.A the Plein Air Apprentice. 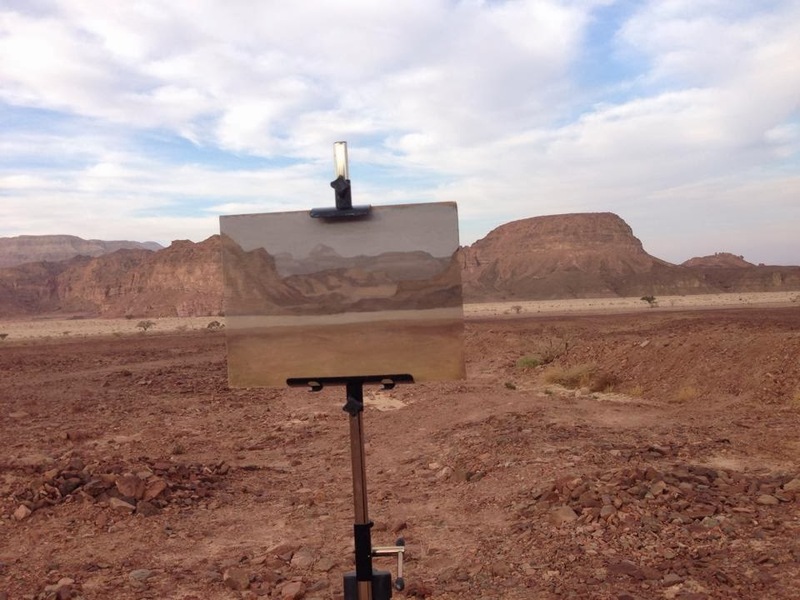 Max’s mission is to travel the world in search of other, more experienced landscape painters. Immersing himself by sleeping, eating, travelling and painting alongside each mentor, he hopes to gain an insight into his or her everyday cultural experience. And the conditions certainly can be hostile. 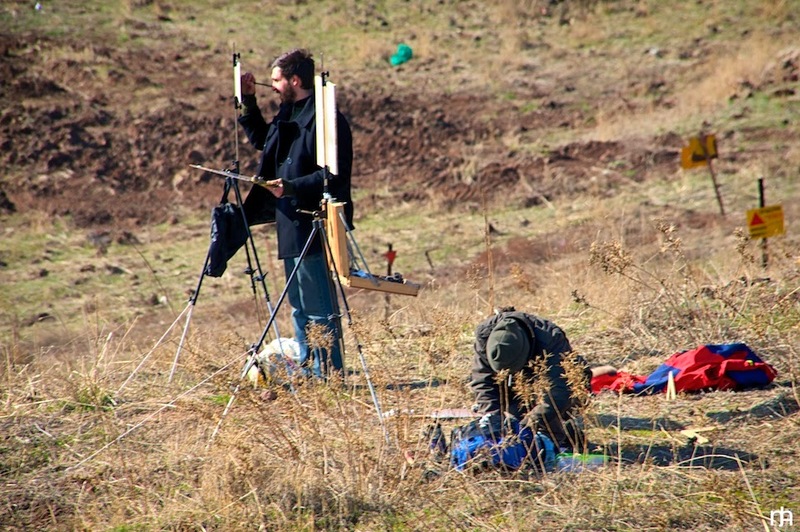 While many of us enjoyed cosy Christmases Max literally navigated a minefield with the ex-Israeli solider turned painter Jacob Benary. 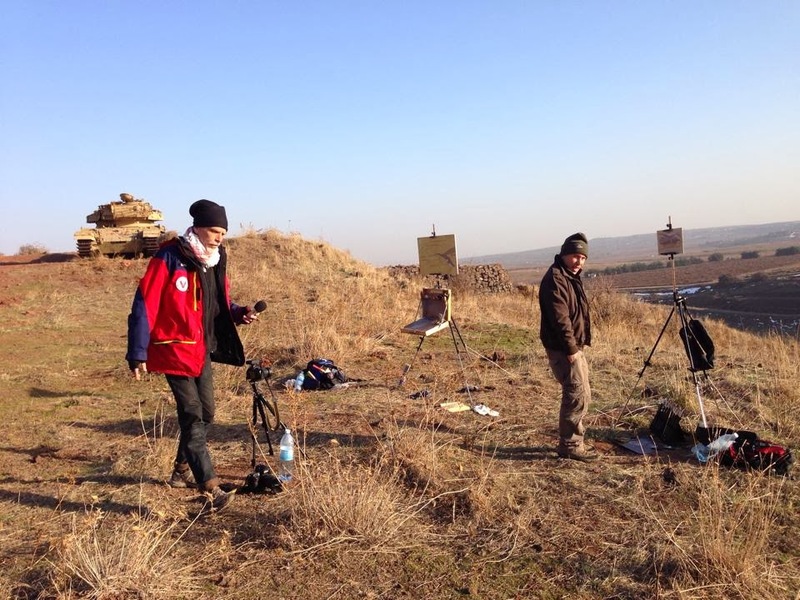 For Max, painting the Golan on the Syrian border, to the sound of bombs and machine guns, was perhaps one of this “life changing” trip’s greatest challenges. Although surrounded by atrocity, he reflects that this battlefield was one of the most poignant images painted during his journey in the Middle East. Between now and his next adventure, Max will be working on a series of short videos shot whilst on location. So watch this space. In the meantime I’ve taken to scouring the pages of Trans Artists… dreaming that I might incorporate sculpting abroad with an internship this summer. Whilst I hate to create competition, it would be cruel to keep that gem of a website from you. Because, one thing I am certain of is the importance of travel. 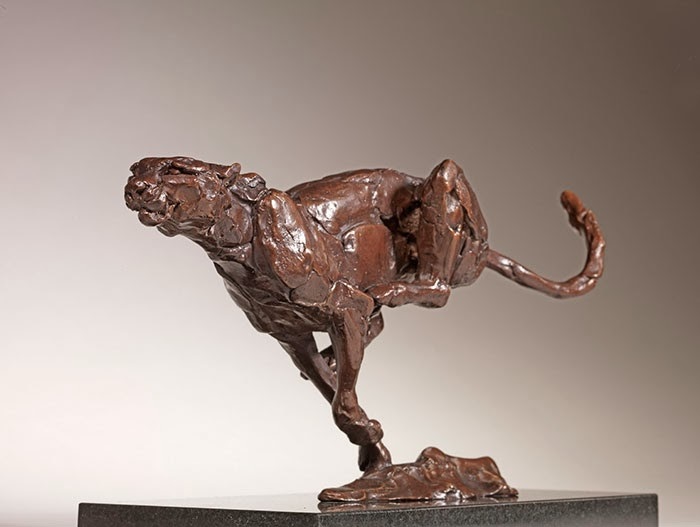 Just look at the work of Mark Coreth - one of my favourite sculptors. Mark is perhaps best known for the Ice Bear Project. This non-political, non-for-profit arts organisation was conceived after his 2007 trip to Baffin Island. With the threat of climate change my hope of experiencing the Arctic begins to melt away. 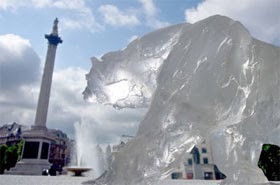 In 2009 the first bear was carved from a ten-ton block of ice in Copenhagen to coincide with the UN Climate Summit meeting. As the days passed it began to melt – revealing a bronze skeleton and three informative plaques. Since then this dynamic installation and its haunting presence has been recreated worldwide. 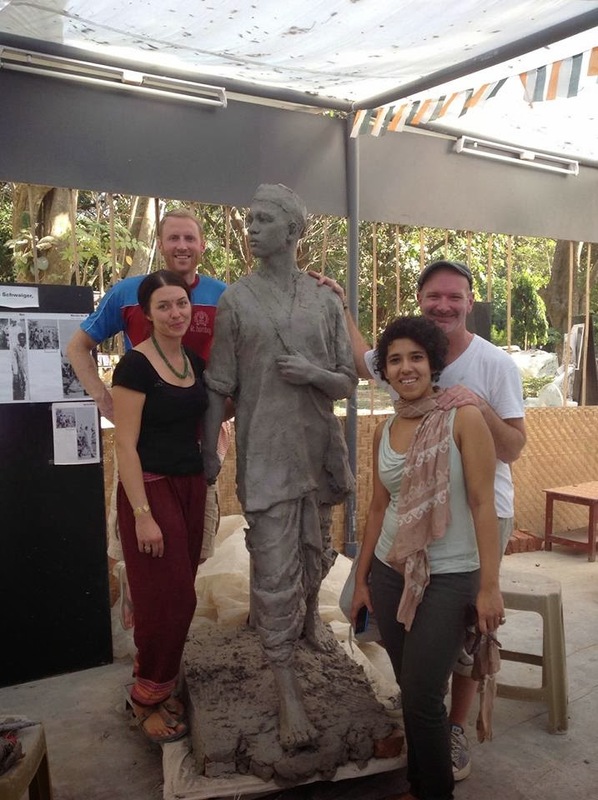 You see, Mark firmly believes that “when travelling and learning it is important to put back more than you gain”. It was not with words, but through art, that Mark met this challenge. Like my own mother, Mark grew up in Africa where he was exposed to awe-inspiring wildlife from an early age. 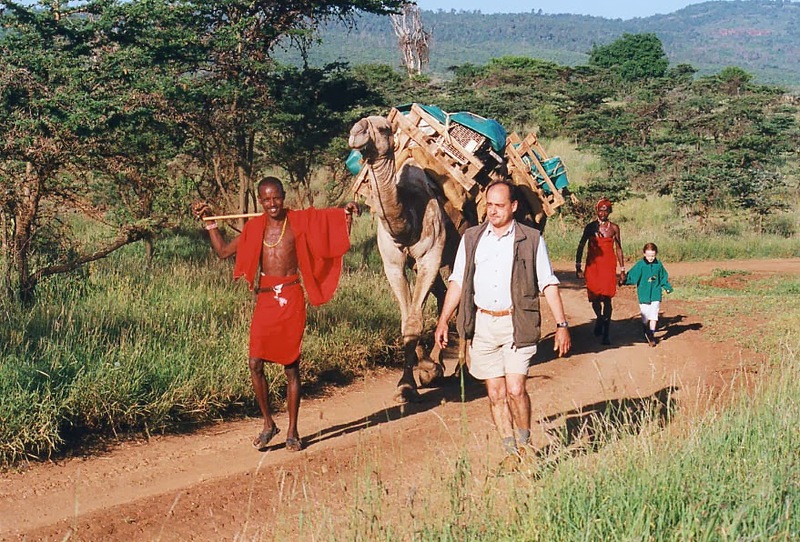 With his hunter father becoming the chairman of a wildlife trust, the African elephant has always held a particular significance for the Coreth family. 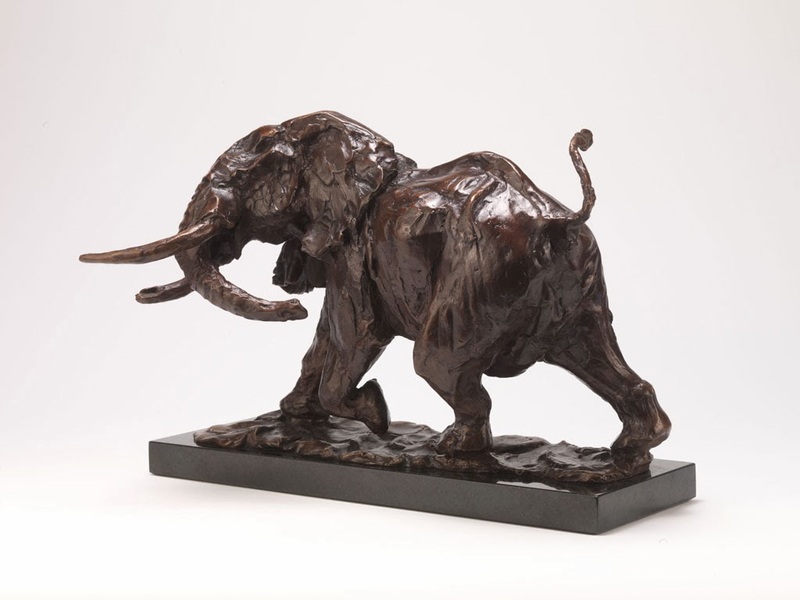 The bronze below was sculpted following a trip to the Meru National Park, Northern Kenya. 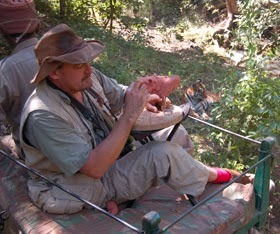 Here, Mark was able to spend extended periods of time in the Elephants’ presence. As day became dusk he began to distinguish “the small and intricate behaviour patterns” through which Mark captures an animal’s character. As a sculptor myself, I couldn’t resist asking about his working method. Mark’s sculptures appear to be more than the product of two-dimensional pencil on paper sketches, as preferred by painters. Instead, Mark models maquettes in the strangest locations. The vantage point of a small mound for instance. Or from the back of an Elephant. 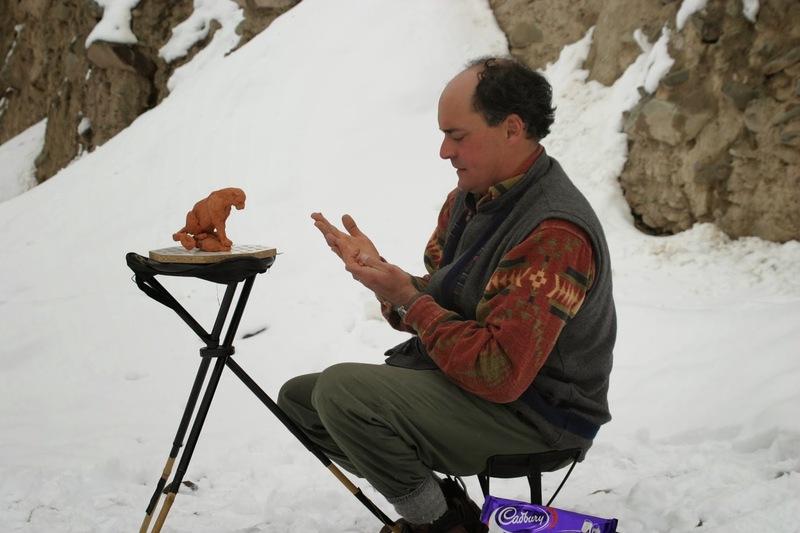 Aside from the threat of predators, poachers or poor weather conditions Mark must also contend with the practicalities of sculpting in situ. He must carry plasticine; materials to make armatures; turn tables to work upon and boxes to safely transport his three-dimensional sketches. These maquettes are vital when Mark returns to his studio in Dorset, referring to memory and experience over photographs. Silly me. I’d have trotted off into the countryside with some wire and clay hoping for the best. So, let me pass on Mark’s wisdom: clay and plaster are water dependent. Wax melts in the sun. Remember Icarus? Or Factor Forty. Location dependant.